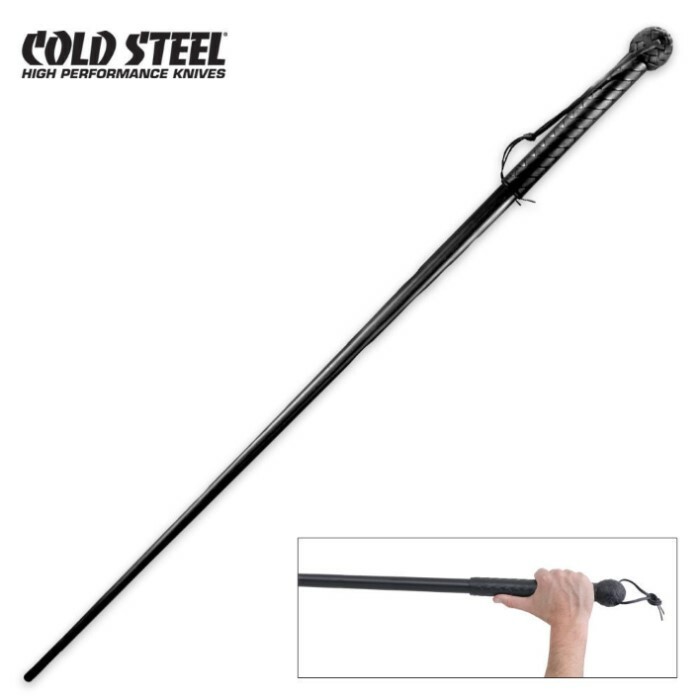 The synthetic Sjambok hits just as hard as the traditional Hippo hide version from Africa. This updated model combines heavier construction and a thicker KratonÂ® handle to produce greater power and control. 42 in. overall. I saw one of these demonstrated 10 years ago, and I was amazed at the flexibility and striking-power. I just received my 42" sjambok and I utterly destroyed the BudK box it came in. This is a unique weapon. well made. lots of recoil...wear your goggles. Straight-forward and without frills, this weapon is meant to be exactly that - a weapon. Did not come perfectly straight, and will not stay straight after some hard practice with it. Assuredly will surprise and please with the first swing, and will stay together for many more. Excellent soft and gentle K9 training tool for easy blocking and guidining very large or stubborn breeds. Also deters loose K9 with a swat to a hard surface, or seperator for keeping unleshed ferral animals from you and your tethered animals on walks about. Worth every cent, however not a cane, soft tough rubber. This has already been a great useful item, causing no harm.